This is our "ask the staff" page, so you may ask us questions here. This is really the only area wherein we are willing to answer questions anonymously. You may ask anything, and the worst that could happen is that your particular question gets ignored. The better the question, the more likely that we are to thoughtfully answer it. Questions should be as concise as possible, but include all important information. If you have a serious health issue, then you should complete our questionnaire, instead of asking questions here. This page is for general questions which generate lots of public interest. "I have recently read on another health website which suggests selenium combined with vitamin E, vitamin C and beta carotene can reduce the risk of prostate cancer and even reverse the cancer itself. Just wanted to know if anyone else had observed the same." This question is another example of why a person should be careful of where he obtains his health information. The vast majority of health sites are outright dangerous, for they provide gross misinformation. It is disturbing to see just how much of the health information is entirely fabricated. We know how bad the mainstream health sites are, but with alternative medicine, people just make stuff up, and they apparently do not care who it hurts. Most of the 'health facts' come from either fantasy, or from people who mistakenly assume that they can do meaningful research. That 'research' results in false information being regurgitated from one blog that is masquerading as a health site to another. Vitamin C was the only listed item that has any appreciable effect upon cancer, and it must be in high doses to do so. The only way to truly avoid prostate cancer is to live drug-free, on an organic and balanced diet that is high in fiber. This means eating your fruits and vegetables. If prostate cancer does strike, then other approaches must be employed. Cancer is a different subject, which is too complex to cover here, but we have media about it elsewhere. 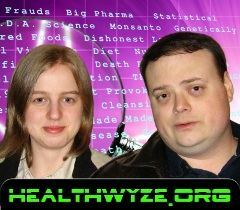 "I was diagnosed with MRSA several years ago and underwent a very aggressive antibiotic regimen. No one seems to know how/where/why this happened to me however, I have small pockets that sit under my skin. I was told that I needed surgery to have them removed and I opted out of that. Long story short pocket will periodically rise up, but I am told they are not MRSA unless they have the bad odor. Either way I cannot find any information on this issue on the website. I have been told that they are now simply boils or carbuncles. When it happens they are quite painful, not to mention disgusting, and there are other ailments, such as pain stretching through my neck that seem to come from those areas but I am not sure if there is a connection. Can you give any information or advice regarding this?" This would normally be a question for which we would recommend that you open a case by filling out the questionnaire, because this is not a simple case. Nevertheless, we may already know the solution to your problem. Boils over the body normally indicate the presence of an entrenched infection within the lymphatic system, so these tend to be some of the worst infections. Take for example, the infamous Bubonic Plague is one such infection. Your doctors are not likely to make the connection to the lymphatic system, and if they did realize it, then they could not do anything about it. This is because orthodox medicine has nothing that can drive an infection out of the lymphatic system. However, we do. It is called astragalus. You can buy it as a supplement. If you combine it with the general antibiotics that are mentioned in our colds and flu article, then you have a good chance of destroying the infection. Combining astragalus with normal antibiotics would significantly improve the likelihood of them being successful too. Although, we recommend the natural antibiotics from the aforementioned article, not only because they are immensely safer, but because the infection will have no resistance to them as it might with the drugs. Astragalus is one of those rarely-known silver bullets that is saved for whenever the time is right. Since this is an issue within your lymph nodes, it would be wise to get a tiny bit of exercise every day too, even if it is just walking up the street. "Hello, I was wondering what is the truth about Kengen water, alkalinized water. It looks to have a lot of natural practitioner's back up, but at almost 5k price per machine it's quite a hard buy for normal people. Plus, how can this small machine clean up all the bad stuff from your tap water, really? May be I am missing something? I thought (with not much knowledge) natural source spring water was supposed to be best for our bodies. Thank you." Many years ago, when we were young and green, we promoted the use of alkalized water. Then one day, when we were a little bit older and wiser, we made the realization that alkalized water is just man's attempt to replicate spring water. We realized how stupid it was to expend all of that effort and money to make an inferior imitation of something that God freely gives to us. Our former naïvety is why we don't talk about the subject much. We have attempted to move on and pretend like it never happened. The minerals in spring water tend to keep it alkaline and act as pH buffers. Of course, there is the obvious benefit too, which is that spring water contains minerals that are good for us. Sellers like to talk about how the alkalized water has a higher affinity to oxygen and contains more oxygen. However, they do not mention that spring water has the same property, because it is naturally slightly alkaline. The extremely alkaline water that is man-made may actually cause pH problems in the body in an unexpected way. What can happen is that highly alkaline water can neutralize the stomach acid somewhat. To compensate for this, the human body will leach minerals from other parts of the body to recreate the stomach acid, which has the effect of making the rest of the body more acidic. This is a common problem for people who take antacids regularly. An acidic body pH then leads to acidosis and dozens of serious health problems. We use a Berkey water filter, which filters out the chemicals, but leaves the naturally-occurring minerals behind. So, the result is essentially spring water that has been extracted from tap water. Our strong advice is to beware whenever you hear claims that someone has been able to make something healthier than it is in nature. "I've heard of people brushing their teeth with salt. Is this healthy or not?" We are not surprised that people are now doing this, or that it is being hyped. It is proof that a little bit of knowledge is a dangerous thing. Sea salt is a great source of trace minerals, so some people figured that it could help to remineralize the teeth. The problem is that we need the right minerals, in the right amounts, and in the right ratios with one another. While sea salt really is good for the overall health as part of a nutritious diet; sea salt's mineral composition in no way resembles that of healthy bone material, and it is therefore unlikely to be truly beneficial to the teeth if it is used as a cleaning agent. We believe that it has a poor help-to-harm ratio, since its excessive sodium is combined with abrasive materials that are likely to destroy tooth enamel with long-term use. We even discourage the use of baking soda, except for occasional use. This is a topic wherein we have done extensive research. You may wish to check our store for our dental cleanser product. The best primary source for dental research is the late Dr. Weston Price, who inspired our formulation. We apologize if our mention of the product seems like gratuitous marketing, but we sincerely believe that it is the best of the best. This is because its ingredients are more-or-less natural to a degree that no other safe and effective product is, and because it is based upon the trinity of minerals that are needed for tooth remineralization, which are calcium, phosphorus, and magnesium. The calcium and phosphorus in our product has maximum bioavailability, because they are derived from concentrated milk. "What is your opinion of Bioidentical Hormone Replacement Therapy?" We have a very negative opinion of this topic, and we cannot imagine that we would ever recommend this therapy to anyone. It is so irresponsible that Suzanne Somers, and whichever ghostwriters might have actually written her books, ought to be flogged to death. These pharmaceuticals are not truly human hormones, because all of them are refined inside chemical factories, and they simply are not identical to anything that exists in the natural world. It would be bad enough if the pharmaceutical companies were merely making us into their guinea pigs, but their synthetic hormones have had consequences that have been documented for decades. The synthetic hormones were modified just enough so that they could be re-marketed under differing names, and they are now known as "bio-identical hormones". Imagine if a chemical company decided to start selling us DDT as a better pest repellent, and they just added an extra ingredient, so that it could be silently re-branded as "TLC". This analogy basically summarizes the history of 'bio-identical hormones'. It could technically be argued that they are not even hormones at all. We have noticed that whenever the pharmaceutical companies re-release their products in this manner, that safety and effectiveness are never the reason. They do it whenever their drug patents expire. We posted a brief, but thought-provoking report about bio-identical hormones, from William Kay, M.D. You may wish to listen to episode 23 of our audio reports, which features Dr. Kay. "Thanks for the information you provide to us all. It is greatly appreciated. My question: Is fluoride absorbed by the skin when showering? Berkey does not sell shower filters that remove fluoride. Their customer rep. told me that since the shower water is quickly running down your body the skin would not absorb it. Is this true?" You will absorb some fluoride from skin exposure and inhalation. We have not found a company which produces shower filters that remove fluoride. The salesman should have told you that he did not know the answer to your question, instead of attempting to cover his ignorance with a lie. It is impossible to avoid all fluoride. For example, trace amounts of it can be found in tea, which occurs naturally. Fluoride can be neutralized with iodine supplementation, but supplementing with iodine should always be done transdermally. To different degrees, iodine also has a neutralizing effect upon other harmful halogens, such as chlorine. You should reference our article about iodine for more information. Fluoride causes calcification throughout the body (such as hardening of the arteries), so some of fluoride's harm can be reduced through a healthy diet that contains ample amounts of magnesium and vitamin D, since these things aid the body to properly utilize calcium. Vitamin C furthermore helps to protect the arteries from the excess inflammation that is responsible for calcification, especially when it is combined with folate. "Hi and thanks for the opportunity to ask this question. Thank God that I found your web site. I am taking antiacids but am very concern even scared want to stop taking antacid, my question is when should I take vineger before or after eating I don't feel pain or stomach pain but I do feel slight burning in the esophagus and burping alot and gerd am afraid of getting esophagus cancer what should I do?? Thanks and my God bless." You are welcome to experiment, and to do whatever works best for you. Apple cider vinegar is not a drug, so there are no dangers. We expect that taking the vinegar after a meal will yield the most pleasant results. "My baby is 14 months and I noticed one of his teeth is whiter than others. I looked closer and it has some decays closer to the gums. Is there anything that I can do to stop and heal the decays? He has never been to a dentist before." Strange tooth discolorations combined with cavities are almost always caused by chemical exposure (including pharmaceuticals), and it is fluoride in most cases. Sometimes the white spots merely look white because they do not share the same discoloration that the rest of the tooth has, creating an illusion of extra whiteness in a spot. You should probably discontinue whatever drug he has been given, or evaluate his foods. Fluorosis is the name for fluoride-induced tooth damage. If the child is saturated with fluoride, then he will be at a high risk of having problems with his pineal gland and thyroid for the rest of his life. There's also the elevated risk of cancer and heart disease. The sooner that you can get fluoride removed, the better the chance of him living a healthy life. You may be able to neutralize some of the fluoride by regularly supplementing with iodine. If you decide to use iodine, then reference our article about the topic, because using it improperly can cause severe health problems. Never supplement with iodine orally, unless it is naturally occurring in a food. Fluoride exposure could have happened before the child was born, especially if you were taking an antidepressant or hyperthyroid medication. Another hidden source of fluoride is pesticide exposure. Most modern infant health issues would be eradicated if women would simply breastfeed their children, but healthy breastfeeding means that the mother must have a healthy diet herself, so this excludes vegetarians. Reference our How to Cure Cavities article about healing tooth damage, and our candida article for advice on how to avoid unnatural sugars and processed carbohydrates. "I saw an article several months ago that gave a recipe for an oxygenating drink. I think it was in the article about cottage cheese curing cancer, and that's no longer available. Is it possible to get the recipe for the oxygenating drink again?" After a re-evaluation, we decided that we were not certain of its benefits, so we removed the Oxygenating Drink from our Budwig Protocol article. We are adding it here, due to multiple requests. Just be aware that your results may vary. Do not drink this if you have a stomach ulcer. "Hi my daughter was diagnosed in June 2014 at 5 months that she has epilepsy. Shea was then put on Keppra and Epilim. since then she has been hospitalized twice more. The Pediatric Neurologist has not determined what is causing her seizures because she does not have any high temperatures. Please could you let me what alternative medicine that I can give her. Also the best type of diet?" Your daughter may not have epilepsy at all. Any problems that she was having, including seizures, are likely related to vaccines. Brain damage and seizures are known side effects. You can look it up, but they will never tell you that. Although, they will happily have you arrested for child abuse if you question them. It is typical of the medical establishment to blame its victims. Since the child is already experiencing neurological problems, continuing to give her vaccines would not only be foolish, but also evil. We have an article about epilepsy. A child who is on epilepsy medications is guaranteed to have neurological problems, because the drugs themselves damage the central nervous system. We are betting that they did not mention that either. If we are correct about the vaccines, then she is at an elevated risk of dying, and having the death blamed on either sudden infant death syndrome or shaken baby syndrome, as is the usual procedure. The medical industry goes to extreme lengths to cover up what vaccines do, and the usual policy is to blame the grieving parents, and have them put into prison, so that parents do not become a problem. We explain it in our S.I.D.S. and shaken baby syndrome articles. Vitamin C should be given to help compensate. It could save her life. Dr. Archie Kalokerinos proved that vaccines cause a massive depletion of vitamin C, and that vitamin C can prevent most vaccine-related childhood deaths, such as those blamed upon S.I.D.S. 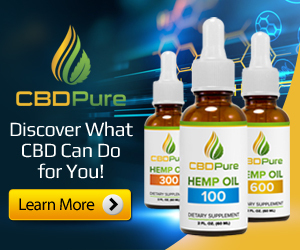 "We recently made colloidal silver (CS) after reading your excellent article from your book and we had a couple of questions about its uses. Since CS is harmful to both the good and bad bacteria would it be advisable to take some organic yogurt while taking CS? Also would you recommend taking CS for a common cold or would you recommend only taking CS for more serious ailments such as when someone had flu-like symptoms?" 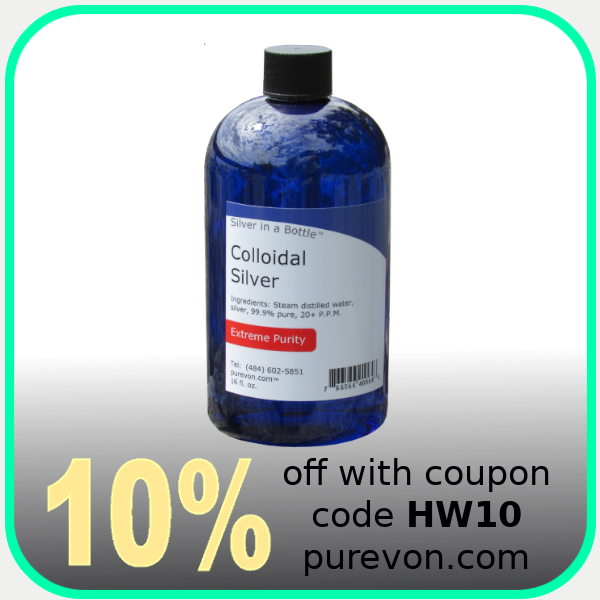 Colloidal silver seems to have limited effect upon the common cold and flu. It is like the old saying, "There is no cure for the common cold". In fact, the antibiotics which seem to work against them tend to act more like immunosuppressants, which merely hide the symptoms in the short term, but they potentially weaken the overall immune system in the long term. In the case of colloidal silver, it seems to work much better as a preventative. We generally use it just prior to visiting a sick relative or a hospital. Even though it is a great preventative, we do not recommend taking it on a routine basis. Taking it daily can cause other problems, like candida overgrowth and iron deficiencies. However, if you are an older man, the iron depletion could be a good thing, as it may significantly reduce the chance of heart disease. Although, resveratrol and vitamin C combined is a better approach at reducing iron than colloidal silver. There is something inherently different about the common cold and the flu. The one thing that nobody is admitting publicly, is that nobody actually understands them. Whatever they are, the old germ theory may not actually apply to our most common infections. Vaccinating against the flu is an exercise in futility, for you are more likely to catch it if you get the vaccine. We have an article about fighting colds and the flu using anti-viral herbs and supplements. You may read it here: Recovering from Common Colds and the Flu. Yogurt will not provide its normal probiotic benefit when it is taken with silver, because the bacteria in it will simply get killed. Although, it will still provide healthy sulfur proteins, which are particularly beneficial when combined with a source of omega-3, such as flax seed oil. Eating yogurt when you have finished taking silver would be wise, as a means to repopulate your gastrointestinal tract with beneficial bacteria. "Almost every supplement I take whether it be a vitamin, mineral or herb causes a detox reaction that goes for 1-2 weeks. I'll spare you the details but I basically get every symptom of a Herxheimer Reaction. I have leaky gut, candida, heavy metals, parasites and h-pylori. My question is what could be causing this? Thanks guys." Allow me to briefly explain to readers what a Herxheimer reaction is. Many of our readers will not know. It is the phenomenon in which a person actually becomes sicker before getting better, during a successful parasite cleanse. In the world of alternative medicine, it is often confused with a healing crisis. Most likely, your only conditions are leaky gut syndrome and H-pylori. We are assuming that these were officially diagnosed. These conditions mimic the others that you mentioned. In a bizarre case like this, we have to mention the possibility that it could be psychosomatic. There could be an emotional issue at play. We realize that nobody wants to hear this, but it would be irresponsible of us not to mention the possibility. Another possibility is that you are having an adjuvant reaction. An adjuvant reaction occurs when the body is exposed to something toxic at the same time as something non-toxic, and the body begins falsely associating the toxicity of the unhealthy substance with the healthy substance. Thereafter, the body reacts harshly to exposure to the healthy substance, usually giving the symptoms of a hyperactive immune response. This is exactly how vaccines work, when they do actually work. They hyper-stimulate the immune system by intentionally adding poisons like formaldehyde into the vaccines. If this is the answer, then it means that you have taken supplements that were harmfully contaminated. From our experiences during the last couple of years, the supplements most likely contained one of the new, harmful, fad ingredients, such as spirulina, chlorella, kelp, genetically-engineered yeast, mushrooms, or whatnot. They may have been outright poisoned with something like antifreeze or even worse, if any of the ingredients came from China. If you took all of your supplements at the same time, then any of those supplements could now trigger the immune response. The risks significantly increase when a product is a multivitamin, because there are so many ingredients, and therefore, so many routes of contamination. If it is indeed an adjuvant response, then the only fix is a slow desensitization to whatever healthy substances that your body is rejecting. The desensitization should be done slowly and carefully, for it is possible to trigger a fatal allergic reaction. During such self-treatment, keep some activated carbon handy for an allergy emergency (like difficulty breathing). In the case of severe difficulty in breathing, always get to an emergency medical center quickly for a life-saving steroid shot. "How bad are cell phones for ones health? I was thinking of getting one but haven't because I am unsure if it is worth the risk." All radiation exposure is bad, but some types are much worse than others. You must decide for yourself what is an acceptable risk for you. We use cellular phones ourselves, and we feel that we are at an extremely low risk of developing brain cancer with our current lifestyle. The big risk is not from the phones, but from the radio towers. Having one located nearby is a cause for concern, as are other sources of high radiation, such as high-voltage power lines. Most people now get their most dangerous radiation exposure from the new CFL ("energy efficient") light bulbs, high-frequency televisions (especially the plasma type), radioactive (high phosphate) fertilizers, radioactive tobacco smoke from those radioactive fertilizers, fluoride, irradiated foods such as "cold pasteurized" mayonnaise, smoke detectors, and fluorescent light bulbs. The biggest radiation threat is the fact that you probably have a nuclear power plant somewhere in your state that could eradicate about half of your state's population in a matter of hours and make the survivors wish they were dead. 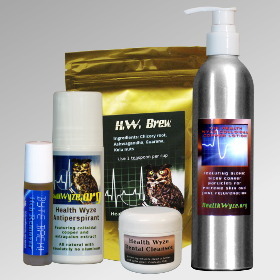 "Will colloidal silver eliminate the ebola virus? Where do you believe the ebola virus come from? Should we be alarmed or is this a scare tactic?" We have some doubts about silver working against ebola because of how hard and fast the pathogen strikes. The dosage would have to be extreme to have any chance. History has shown that whenever there is a super infection that has crossed into humanity from another species, the U.S. Department of Agriculture was involved, for the organization hides military bio-weapon research in plain sight. You can safely bet that it was doing some 'research' in Africa just before the original outbreak happened, as was the case elsewhere for Lyme disease, West Nile, avian (bird) flu, swine flu, and the list goes on. Animal diseases were never able to cross into the human race throughout most of history, and still only do so with 'help'. Cow pox might have been an exception, but its history is likewise fishy, and that history has been revised in a way to promote the vaccine industry. Creating cross-species diseases is the main thrust of the U.S. bio-weapons program. They cannot create new life, so they are stealing diseases from the animal world. It is documented that they have been storing ebola for decades. We recommend the book, Lab 257, for something that would keep you up all night. A handful of people have been killed or quarantined here in the United States. To put it into perspective, up to 50,000 people die from the regular flu during some flu seasons, according to the Centers for Disease Control. Anyone telling you to be afraid is a dishonest sensationalist and a terrorist. We noticed that, in addition to the regular media spreading the terrorism, that both Alex Jones and Mike Adams are in full swing again. We made bets about when they would begin. "What do you guys think about nightshades? Specifically I have been reading about calcitriol (I think that is the right spelling anyways ;-) ). Can nightshades cause calcium deposit problems in the soft tissues of your joints? Namely, calcification? Or is that only a problem if something else is wrong?" Concerning the nightshade controversy: whenever someone advises his readers to avoid entire families of the best vegetables and spices for the sake of health (like quite a few mainstream doctors are doing nowadays), then you can know that the advice is the pinnacle of quackery. We shall never tell you to limit your vegetables and then pretend like nutritional science is on our side. We can assure you that neither cayenne pepper nor potatoes are the source of your health problems. We did not cover the nightshade topic previously, because it is so absurd. Unfortunately, since there is no officially-known cause for arthritis, sites like Natural News have had a free-for-all fabricating both science and alternative medicine, in a way that makes fools out of their own readers. It's par for the course over there and at various other reprehensible sites. The modern problem of calcification is actually a result of not having enough vegetables and healthy herbs in the diet, for a lack of these causes deficiencies of magnesium, which (along with Vitamin D) is a requirement for the proper utilization of calcium. The end result is that calcium is not properly utilized, so it gets stored elsewhere and combined improperly with the wrong materials. Thus, kidney stones are one of the first warning signs that something is terribly wrong everywhere else, and heart disease (hardened arteries) is impending. Calcification is also caused by fluoride, which retains calcium everywhere, including the pineal gland to cause permanent psychiatric problems, such as clinical depression and sleep disorders. Pharmaceuticals are often the root problem for causing nutritional deficiencies by impairing the G.I. tract and various systems, and as a double-whammy, a shocking number of drugs have added fluoride for no obvious reason. Sometimes the fluoride is not even disclosed in the chemical name or in the ingredients. Look for "fluo" in the chemical name for the cases in which it is disclosed. "Calcitriol" is the term that is sometimes used to hide the fact that doctors are prescribing vitamin D. They would not want us to realize that nutrition works better, after all. Patients are paying small fortunes for the 'medical' vitamin D.
Our advice is for you to eat a balanced diet and to avoid those 'experts' -- both the doctor and definitely whomever regurgitated the nightshade thing. We also advise you to treat the problem instead of the symptoms, or you will eventually pay dearly for it. You should carefully review your diet to determine why you are not getting enough vitamin D or magnesium. The problem is never too much dietary calcium, because there is no such thing as too much whenever a body has the materials to process it properly. It is like the thing with oxidation and free radicals. The human body cannot have too much oxygen, but it can be lacking in the vitamins (anti-oxidants) necessary to prevent oxidative damage. One more note, be sure not to overdo magnesium supplementation, since too much will cause the body to flush other minerals. "Do you believe that giving blood is safe or could it possibly lead to some health issues?" As long as the person extracting the blood is competently trained, it should be safe to donate blood. Donating blood on a regular basis eliminates heart disease in some men, because it is the fastest and surest way to remove excess iron from the body. Iron build-up is a chronic problem for men world-wide. Normal men, who are not vegetarians, should definitely avoid all supplements containing iron. Few women have excess iron during their childbearing years, due to menstrual blood loss, and this is one of the reasons why women rarely develop heart disease before menopause. Then heart disease quickly becomes one of the top killers for women too, once the iron begins accumulating throughout the senior years. The infamous blood-letting practices of the past were exclusively practiced by the mainstream medical establishment, and in certain cases, it actually worked! Excess iron likely played a strong role in those cases. I believe that it was Linus Pauling who discovered the iron problem, and he also discovered how to compensate using resveratrol supplements and grape products like red wine. "What are your thoughts on organic grass-fed raw milk and grass-fed beef?" Cows were designed to eat grass, so grass is the ideal diet for them, and it is also their most humane diet. We have little to write about this because it ought to be common sense. We wondered how long it would be before someone asked the raw milk question. We do not drink unpasteurized milk, and we feel that it would be irresponsible to encourage our readers to drink it. Many of the people who write about alternative medicine encourage their readers to drink only so-called "raw" (unpasteurized and unhomogenized) milk. They believe that the "raw milk" is considerably more nutritious than the standard varieties, is absolutely safe, and that the detrimental effects of milk come from the way that pasteurization alters it. They are well-intentioned, but wrong. The nutritional difference between milk which is pasteurized and that which is not is negligible. The end product of pasteurization is practically identical nutritionally, and the biggest difference between the two is that the pasteurized version is sterile. That's usually a good thing for foods, and the benefits of sterilization are why we cook most foods. While most people can safely drink the "raw" milk most of the time, there are rare cases wherein a dangerous pathogen has breed inside of it, and these cases can be fatal. Is it worth risking the life of your child or spouse? It is important to note that the risks associated with raw milk are growing rapidly now, because there is a new disease in town. People are getting Lyme disease from milk, from cows which were infected with Lyme, and that changes the rules of the game totally. That's because Lyme can become life-long, debilitating, and agonizing. In these cases, the doctors refuse to treat it because of the politics of this bio-weapon, and they subsequently treat such patients as people with mental illness. Of course, it is misdiagnosed about half of the time too, which leads to the same hopeless scenario. Thus, we feel ethically bound to discourage the drinking of unpasteurized milk. The people promoting unpasteurized milk are a perfect example of what happens with just a little bit of knowledge. They are correct in that most pasteurized milk is dangerous to health, but it is not actually the pasteurization that is the problem. The problem is that pasteurized milk is virtually always homogenized too, and it is the homogenization which makes milk so destructive. The homogenization of commercial milk is probably the single biggest cause of heart disease, and we covered the details in our heart disease article called, The Big One. Feel free to get your milk straight from the cow all you want, but please boil it prior to use for the sake of protecting your loved ones. If you have to drink an 1/8th more of a cup of the milk to get the same nutrition, then that is a very small price to pay to ensure that something does not shut down your child's liver. Doing what is right begins with first doing no harm. We support everyone's right to drink milk "raw", but that does not mean that it is the wisest thing for a person to do. Unhomogenized (but pasteurized) milk is available at some health food stores. It is usually called creamline milk. It is what we recommend. We discussed the details of this topic in the aforementioned heart disease article. "I work in the health care field. My facility is insisting that employees get an annual flu shot. I totally disagree with this however I need to keep my job. What can I do to rid my body of the mercury and other toxins? Will cilantro extract, chlorella and milk thistle help?" There is no way to completely compensate for the toxic effects of a vaccine. It is because all vaccines are toxic by design to aggravate the body into an aggressive immune response. Their toxicity is partly created with adjuvant chemicals, which often cause a body to mistakenly associate otherwise healthy compounds (inside them) with threats, so that new allergies are created. This, combined with the new generation of pesticides, is why there are so many bizarre food allergies nowadays, such as allergies to peanuts and eggs, for some of the vaccines literally contain peanut oil and eggs. The rule is that if a person is somehow poisoned, then his body will over-react to any other things that were consumed at the same time, and this adjuvant reaction is exactly how vaccines work. These new food allergies were not supposed to happen, and they did not happen during the previous 99% of human history. These terrible, life-long, sometimes fatal allergies are one of those 'miracles' of modern medicine. Vaccinations are also why so many people throughout your industry have latex allergies now, for some of the vaccines contain that too. Avoid chlorella in all forms. Wherever you got that information, remember it as non-credible at best, but most likely fraudulent. Chlorella and other underwater vegetation will only increase your body's toxicity and overload of heavy metals. It was putting things that were not meant for human consumption into ourselves that got us into this mess in the first place. Both cilantro and milk thistle might be helpful, so that part of what you have read is true. Be aware that these will effect the metals that are already inside of you, so it is possible that they will aggravate the adjuvant effect of the vaccine by having the previously settled metals inside of you moving at the same time. The metal cleansing is not as simple as it might seem, and you may be a little too influenced by the pop-a-pill mentality of your industry. If I absolutely had to take a vaccine, then this is how I would manage the aftermath. At the time of the vaccine, I would begin supplementing with selenium as a way of neutralizing new metals. It really does have that effect, so natural foods which contain metals (like fish) usually contain the appropriate amount of selenium to neutralize it. I would also heavily supplement with vitamin C (2-3 grams), because vaccines have historically caused vitamin C to dissipate from a body, and the worst vaccine effects seem to be associated with a lack of it. One of our articles (about S.I.D.S.) cataloged how the entire medical industry turned against Dr. Archie Kalokerinos for exposing this, since it was evidence that vaccines are harmful, and that nutritional medicine could do things that "standard" medicine could not. They ruined his career for it, but his science was sound. After the vaccine, I would wait a couple of weeks to allow the body to naturally flush all of the metals that it naturally could, and for the adjuvant reaction to subside. Then I would perform a metal cleanse. Just follow our current recommendations for a metal cleanse from our article, Techniques For Cleansing the Body and Detoxifying. We have to warn you that any cleanse should be undertaken only with forethought. You need to schedule it well, for instance. During that 2 week period, you can expect to have an impaired immune system, flu-like symptoms, extreme irritability, and perhaps depression. Unfortunately, that's what happens when you overdrive the liver and kidneys, and combine that with the movement of metals in your bloodstream. You are not alone. Doctors, nurses, and other healthcare workers make up about 1/3 of our audience. They usually contact us anonymously. We thought it was hilarious when we learned that a few of our top fans work at the Mayo Clinic. Don't worry. We won't rat you out! What is happening at your facility is so wrong. Force medicating you, even if it were completely safe and beneficial, would still be an egregious violation of your rights as a human being. "I have found oven roasting vegetables moe flavorful and easier to cook. I use extra virgin olive oil and go no higher than 375 degrees to prevent smoking. Do you have an opinion about this practice? My concern is about changing the molecular structure of the oil from over heating and getting the wrong balance of omegas." You could simply supplement with flax seed oil to ensure that you always get the appropriate balance of omega oils. Flax seed oil does not normally contain any omega oils, but it instead contains the precursor compounds that a body easily uses to manufacture its own omega-3 as needed. This is why we (and Dr. Johanna Budwig) recommend only flax oil for omega supplementation, because it allows a body to self-regulate the omega balance as is needed at any given time. Most of the other omega supplements tend to overload a body with omega-3, which harmfully upsets the balance. Then as they go rancid, they harmfully shift into flooding the body with inflammatory omega-6. For example, pristine fish oil is bad for having too much omega-3, and oil which has become rotten is even worse. Just use cold pressed and properly packaged flax oil. Your body will automatically take care of the rest. Your vegetable cooking is probably fine, and you probably do not need to change anything. However, it is worth mentioning that steaming instead of roasting would preserve more of the nutrients.